Improving and maintaining spinal health and mobility is not achieved from a one off, short term, quick fix. We work with and attract those who are looking to invest in their long term spinal health and mobility. Therefore, we offer individual care plans to all our patients, through detailed examination, explanation, information and skilled hands on adjustments. 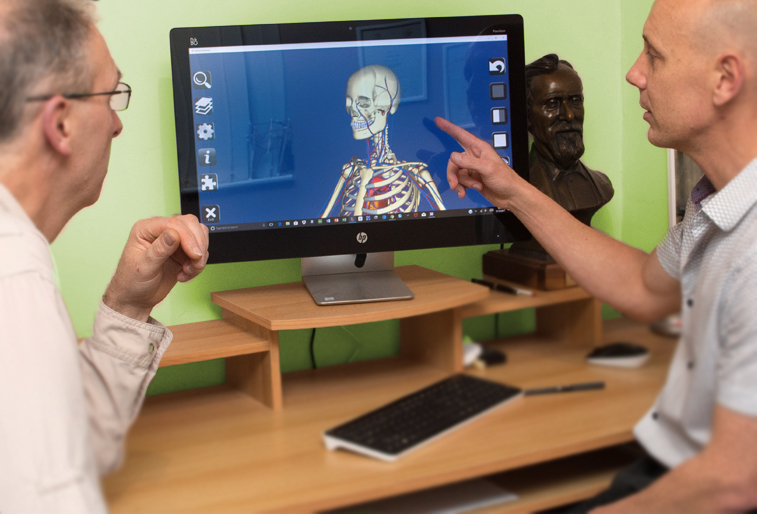 Alma Osteopathic Practice was founded in 2006 by Mr Jamie Archer whose vision was to create an environment that gives the best osteopathic care to those seeking help improving, managing and maintaining the health of their musculoskeletal system. Since that time, we have built a solid reputation in the local community and beyond by helping thousands of patients to regain a better quality of life through musculoskeletal care. To offer support to our patients to help them improve and manage the lifelong function of their musculoskeletal system in order to regain and maintain an optimal quality of life. To challenge ourselves to provide the excellence in osteopathic musculoskeletal healthcare and develop new and better ways to solve problems, backed up by the latest scientific research. We always give our honest and professional opinion. We are committed to learning and sharing our knowledge and information. We listen and care about you as an individual. We continually strive to develop and improve the care we provide based on current evidence.